If you use these on a page... 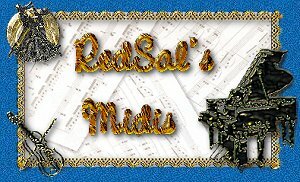 Please say "Sequenced by RedSal"
to get the best from this page. Send Email to RedSal, every letter will be aknowledged. Thanks! If you have problems with this page, contact Southern Belle Designs. Thank you.